What are the advantages of a blended wing body aircraft? For the longest time, commercial airlines have used the same tube and wing design. Regardless of how many engines or even size, the main design is still the same. 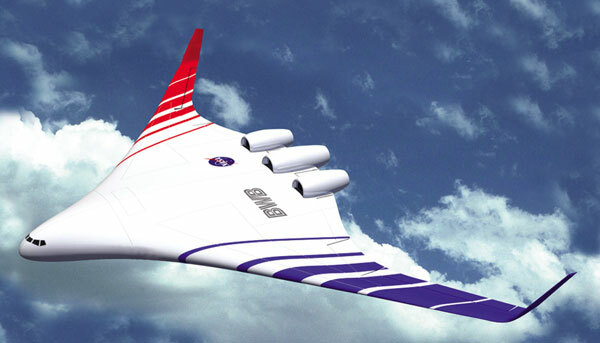 There is one design which may be applicable for commercial use, the blended wing body design. A blended wing body or a BWB aircraft has a hybrid shape that resembles a flying wing but also incorporates some features from commercial planes. Its airframe merges efficient high-lift wings with a wide airfoil-shaped body. This allows for the entire aircraft to generate lift instead of just the wings. By minimizing drag, this shape will help fuel economy while creating more areas for cargo and passengers alike. The blended wing body design isn’t anything new. In fact, it was designed decades ago, and certain planes have already incorporated the design. The famous BWB plane has to be the B-2 bomber and the YB-49. The YB-49 was developed in the 1940s and used composite materials that are stronger and lighter compared to conventional metal planes. BWB planes are also known for having several control surfaces on the trailing edge as demonstrated by the B-2. If a commercial airline decides to make use of a BWB design, it would truly be revolutionary. Ticket prices may go down with the savings on jet fuel, more people could be accommodated, and the new design could create unique interior designs never seen before. Scott Beale is an aviation and aerospace professional with more than 20 years of leadership experience. For more reads on the aviation field, visit this blog.